Earlier this week, on a whim, I searched online for local spas that offered an infrared sauna experience. Years ago, I joined 24 Hour Fitness specifically because the location offered a steam room and sauna. At first, I only took advantage the steam room. But one day, hubby urged me to also use sauna. When he was a child, his mom married a man from Scandinavia. His stepdad built an in home sauna and every morning, they would jump in the sauna after a workout. I was aware of the steam room benefits but had no experience with saunas so I was a bit skeptic. After my first time in the sauna, I was hooked. There was something magical about allowing the body to sweat. Several sessions later, my skin improved and I began to incorporate scrubs and coarse bath cloths to further remove excess toxins from the skin. Life was good. That is until I learned infrared saunas. Infrared Saunas, unlike traditional traditional saunas, utilize infrared rays to penetrate the skin at a deeper level. The result is a greater detox at the cellular level. I enjoyed the gym sauna so much that I explored byuying an infrared version for the home. I did some research online and found that the prices were somewhat reasonable. Time passed and not action was taken. Suddenly, out of the blue, I decided to experience an infrared sauna once and for all. It didn't take long before I located a spa nearby that offers sessions at $1.00 a minute. I set the appointment for the following day. The two person sauna was really inviting. After stepping in, I took in the experience and tried to identify the difference betweens what I was currently experiencing and the gym sauna. First, the heat was much more bearable. I'm someone who loves the feel of the sun on her skin. That's exactly what the heat felt like to me. The warmth was really comfortable the entire time. Unlike the gym sauna where the heat was uncomfortable, making it difficult to breath. I could only stand about 10 minutes in the gym sauna before I can no longer take it. About 5-7 minutes in, I began to sweat. It was a bit slow at first but the sweating intensified as time went on. Soon, I was literally covered in sweat. Much more than when compared to the gym sauna. Moments later, I heard beeping from the timer notifying me that my 30 minute session was nearly complete. Instinctively, I added an additional five minutes because I didn't want the session to end. Unlike the gym, I felt completely refreshed and rejuvenated once I stepped out of the sauna. This was the moment that I realized that I was immediately addicted. Once complete, I jumped into the shower to wash off the toxins. I really wished I brought my Shea Butter scrub to really take advantage of the detox process. But even without it, my skin felt absolutely baby soft afterwards. I kept touching my face on the drive home. The whole experience was exhilarating and I instantly craved more. Luckily, I grabbed a bunch of additional sessions thanks to Groupon. But, realistically, it makes much more (financial) sense to eventually own one. I spent most of last night reading and listening to dozens of reviews of people who invested in an at home unit. The one message I heard repeated over and over was "I should've got it sooner." An at home infrared sauna would be a dream come true. Currently, I do a mini morning detox which includes drinking room temp water at the start of the day then bouncing on the rebounder to ignite the lymphatic system. Adding a 20 minute sauna session would be like icing on the cake. This may be a bit too much info, but I showered at home immediately before my appointment, then showered as soon as I was done and yet the towel I used to dry off post 2nd shower appeared "dirty" because of the surface toxins. That's how powerful the experience is. I'm really recommending the infrared sauna experience to everyone reading this. Do a Google search for places in your town and treat yourself. And if you want in corporate a full body cleansing into your daily routine, I invite you to looking into investing in your own in home sauna. Thanks for this. I did a search and found a local place. Going to give it a go on Wednesday. Infrared sessions were my saving grace after a surgery; it helped speed up the healing of my incision and helped break down some scar tissue. That is supposed to be a great treatment for hair. It is great to use natural methods such as these for doing multiple things. I have always struggled to understanding why people would do things that are not natural as it can have ample benefits in life. There are so many better ways to take care of oneself in life. 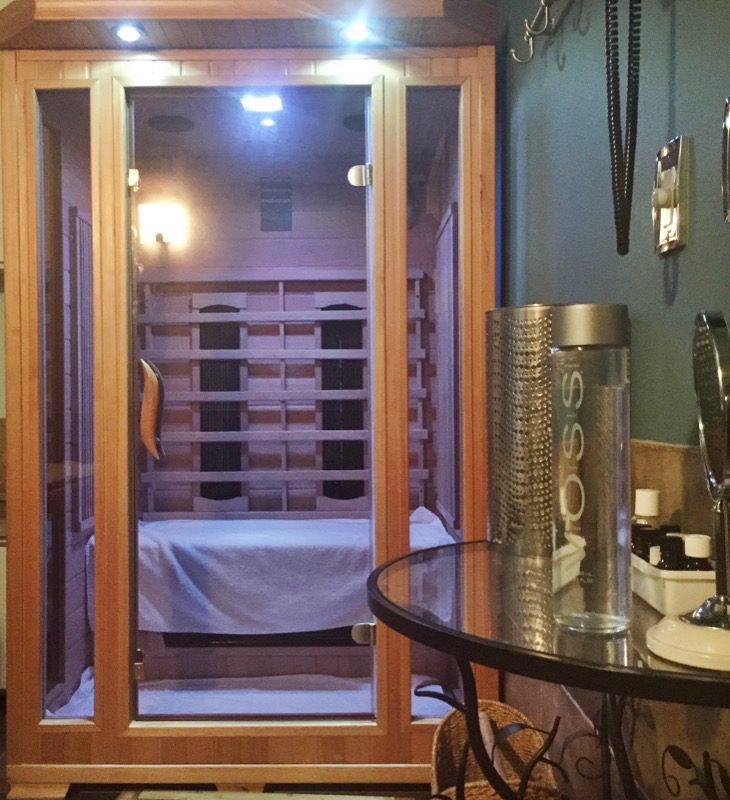 I first experienced an infrared sauna at this all-female gym I went to some years back. Now, I've just recently found a cryotherapy center down the street from me that also has an infrared sauna. I'm SO excited! How to create your best skin ever this winter. The Best Dating Advice I've Given, Ever. How Meal Prep Containers have changed my life. Motivation Monday | Stop with the "What ifs"